Northern Ireland international footballer Gavin Whyte has apologised to anyone he offended after a video of him walking through Belfast city centre semi-naked and engaged in a lewd act was posted online. The video emerged on social media on Monday night – the same evening the 22-year-old Belfast man was being honoured for his exploits on the pitch at a sports awards ceremony in the city. In the video, Whyte, who plays for Oxford United, is seen with another man walking down a pavement beside Belfast City Hall, both with their trousers and pants down around their knees, exposing themselves. The League One club has confirmed that Whyte will be disciplined for his “unacceptable” behaviour. And the PSNI has said it is “conducting enquiries” into the matter. Whyte, who was formerly with Irish League side Crusaders, issued a statement via the Oxford United website apologising for his actions, which he described as “a moment of stupidity”. “It was a moment of stupidity from me, one I regret very much and which I have to try and learn from. I can only apologise to anyone I offended and to those I let down by my behaviour. “I am embarrassed beyond words but all I can do is try to move on, concentrate on my football, and make sure that nothing like this ever happens again,” he said. 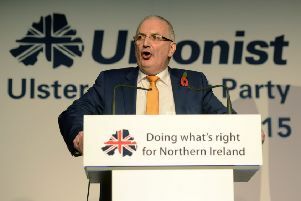 “Gavin’s actions in the video are clearly unacceptable and fall far below the standards that we expect from a Northern Ireland international,” he said. The club’s manager, Karl Robinson, condemned the player’s actions. “It is totally out of character,” he said.